This British native perennial is one of our most attractive wild flowers and is certainly garden worthy. 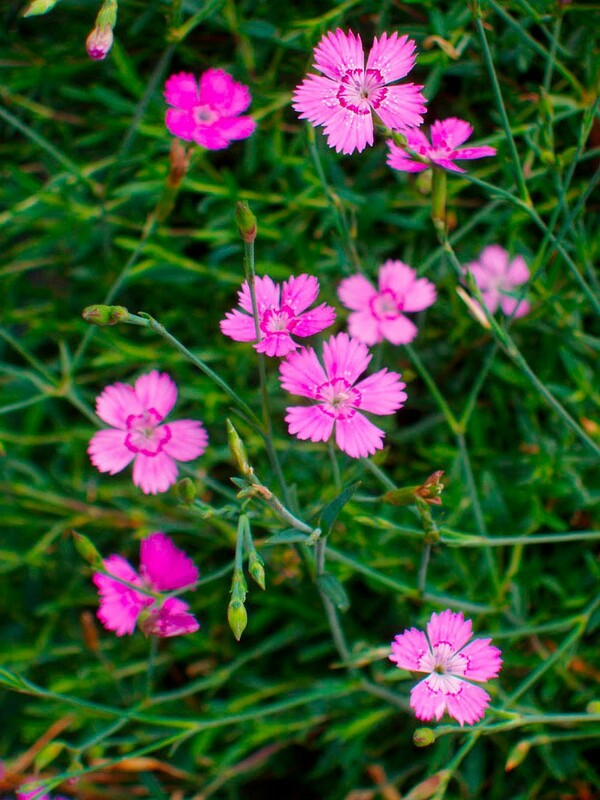 Maiden pink has slender stems with narrow green leaves and grows to about 40cm. 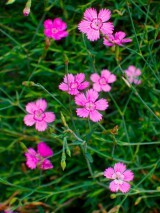 It bears a succession of bright pink flowers from June to September. The flowers are made up of five petals, toothed at the edges and often speckled with paler and darker spots. 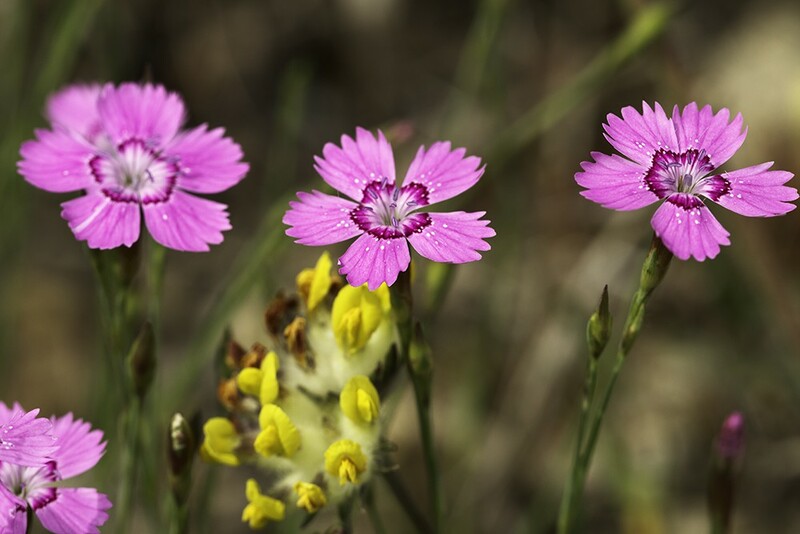 Maiden pink is a plant of dry, sunny conditions usually on base-rich soils overlying chalk or limestone but sometimes sandy soils and mica-schist. It can cope with low fertility and quite droughty conditions but is unable to persist against faster growing more competitive species. It therefore prefers an open sward with areas of bare soil or rock. Easily grown from seed sown in the spring although it will work if sown at other times. Once plants are established more can be created by propagating from short cuttings of non-flowering shoots in early to mid-summer. If possible plant in a sunny, free draining site.